Native speakers of a language use hundreds of idioms without even thinking about it. Often, people who are learning a new language find it difficult to understand what the idioms mean. Practice in using English idioms and understanding their meaning is necessary if a person wants to become skillful at speaking and writing English. 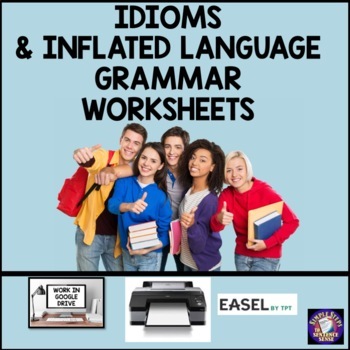 This six page set of exercises give students practice in using idioms and in explaining their meaning. Answers are included. This is a useful set of exercises that Charlene Tess uses to teach English and creative writing. It would also be a helpful addition to ESL and home school curriculum. Subscribe to my newsletter for tips and freebies.